Super Adjustable Super Erecta Shelving is the most advanced and innovative wire storage system available. A unique corner release system and SiteSelect Posts make changing shelf levels fast and easy without tools! 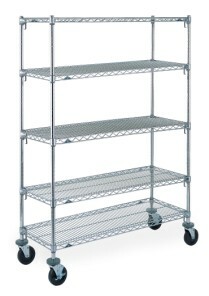 And Super Adjustable Shelving works in conjunction with the entire Super Erecta System of shelves and accessories. Because this makes a very dynamic system, you can mix and match components.